Lately, I’ve been learning so much about plant-based diets and have been determined to sneak in more veggies anywhere I can. That knowledge, and the happenstance of 3 perfectly ripe avocadoes led me to this awesome new snack! I’ll never have to throw an avocado away again just because I’m a day late to the ripeness party and I’ll never have to wonder if I’m getting enough greens because I’ll be shoving Kale into as many dishes as I can. 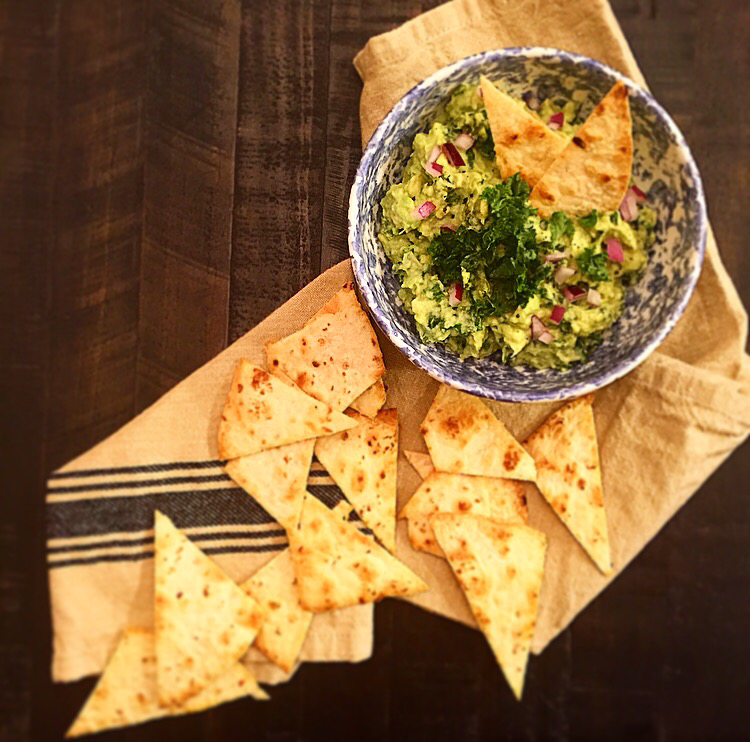 Starting with this delicious and nutritious Kale Guacamole! 1. Put everything in a bowl and mash together until it tastes good. I know there’s only 1 step but it’s really that easy! Just cut up some Chile flavored flour tortillas and baked in the oven on 375 degrees for 5-7 minutes, flipping over once. Voila!